Should your business advertise on Tumblr? Just last week, blogging platform Tumblr announced it would be offering businesses the ability to purchase paid ad space on its blog network. Tumblr’s decision to host ad space is no real surprise, other than it took them this long to make the move. Tumblr has been growing in popularity since its inception in 2007 .. and for good reason. Its tagging and sharing features allow content to be spread like wildfire through its user base. And unlike more traditional blogging platforms like WordPress, Tumblr is super simple to set up and maintain. So, even if you’ve never touched PhotoShop before or have no budget for a web developer, Tumblr’s user-friendly interface has got you covered. And while Tumblr blogs aren’t nearly as customizable as those on WordPress, the simplicity is what draws so many users to them. Tumblr has become so popular in fact that the word "Tumblr" will soon overtake "blog" in Google searches. 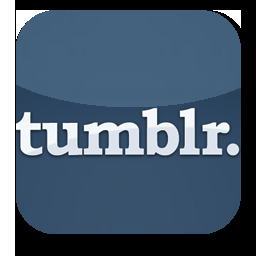 Furthermore, with 21.8 million unique visitors in March 2012, Tumblr nearly tripled its traffic from the previous year. Unlike Facebook, the bulk of Tumblr’s users are aged mid-30s and younger. Therefore, businesses targeting more youthful audiences may likely find a home on Tumblr. However, with Facebook’s recent purchase of Instagram, it’s clear that the web’s biggest social platform is also aware of the impact of quickly-posted images that can go viral in the blink of an eye .. in all demographics. The skyrocketing growth of Pinterest, particularly amongst women mid-20s to mid-40s, further indicates the shorter attention span within the online social realm and the desire (and effectiveness) to share ideas and information quickly and painlessly. Is Tumblr useful for your business? Paving the way for Pinterest, Instagram, and Facebook’s new timeline layout, Tumblr makes sharing photos and other quickly-posted content particularly pain-free. Businesses who specialize in visual products (think: fashion, art, design) often find Tumblr’s photo-sharing capabilities particularly intuitive and useful to their customers. Not sure where to start getting social? Speak to one of our social media enthusiasts to find out how we can help grow your online influence.